What a crazy mis-match of hands! Actually, most of them (apart from the sweep second hand) appear to be the original 7A38-7130 hands painted - as are the batons. It's also fitted with a non-original dial ring - of which I still haven't figured out what the 10-90 numbering scale represents. .... and scroll down the page. "What's Caveat Emptor in Hungarian ??" It`s difficult to translate properly but it`s something like this: "Óvakodjon a vásárló"
Or another translation: "Vásárolj a saját felelősségedre"
Sometimes I check vatera.hu as well but it`s difficult to find a 7A38....especially in a decent condition. That technicolor dial Ti 7A38-7130 still managed to make $124.50 (approx. £79.23). 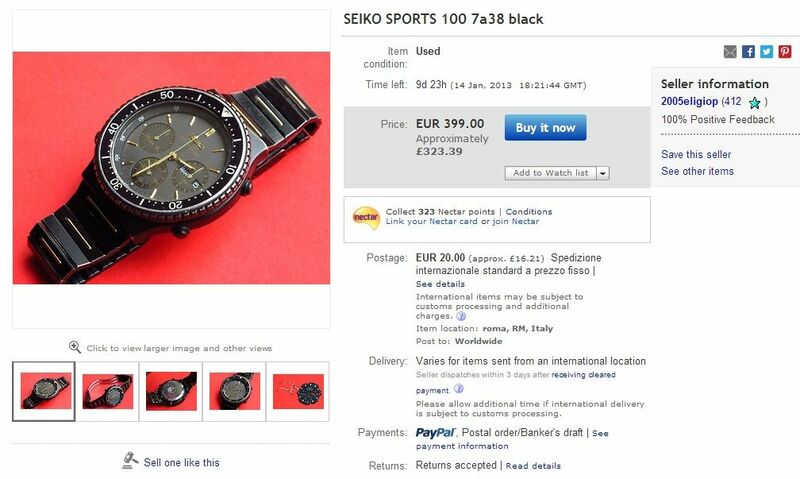 The winning bidder must be colour-blind ! About time we had a proper (No - that's a completely inappropriate adjective) blatant 7A38 Franken to give this thread a bump up. 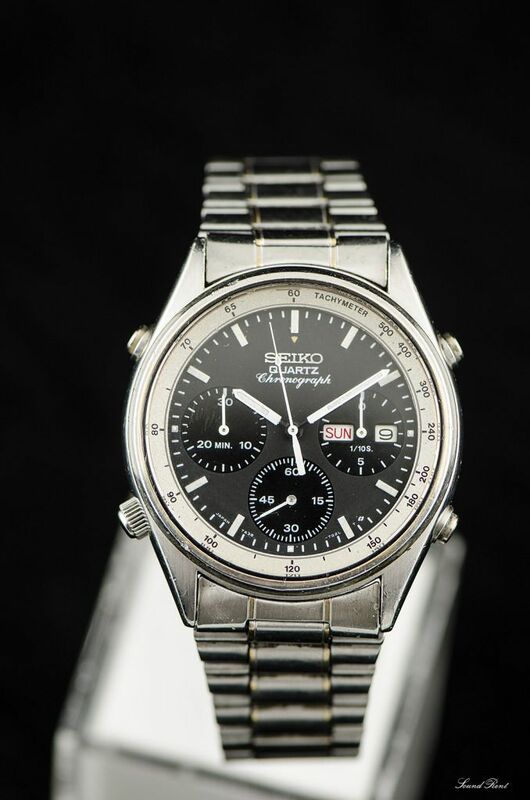 Vintage Seiko 7A38-7010 Chronograph for sale. The case is all stainless steel. The movement is battery powered. 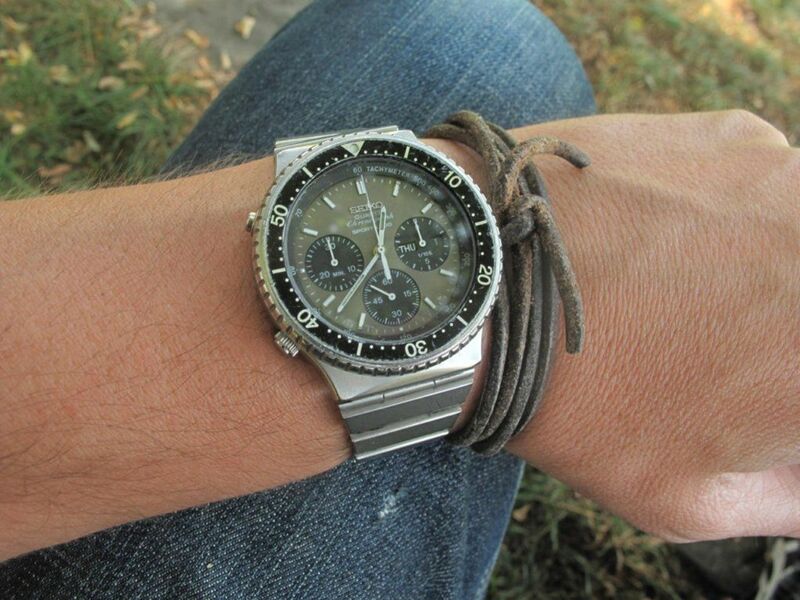 Watch works good with all chrono functions. Diameter without crown: approx. 38 mm. NOTE: I'm also owner of account nandor1580 and store "auctionchrono"! 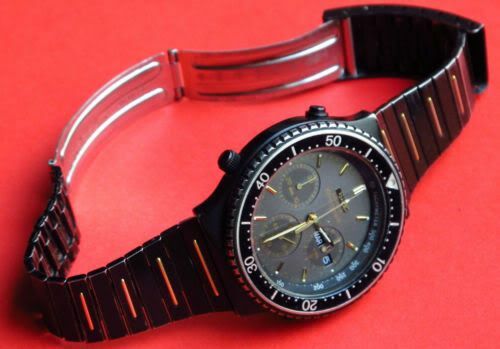 but the rest of it - the watch case, Tachymeter ring and bracelet are from a well-worn two-tone 7A38-7060 (my typo corrected). The worn gold-plated pushers are obviously original to the case, but I suspect the stainless crown is from the donor 7A38-7010. I really "like" that all the chrono`s hands are not aligned propery...and look at that battery....OMG....alkaline AG9.....quality! 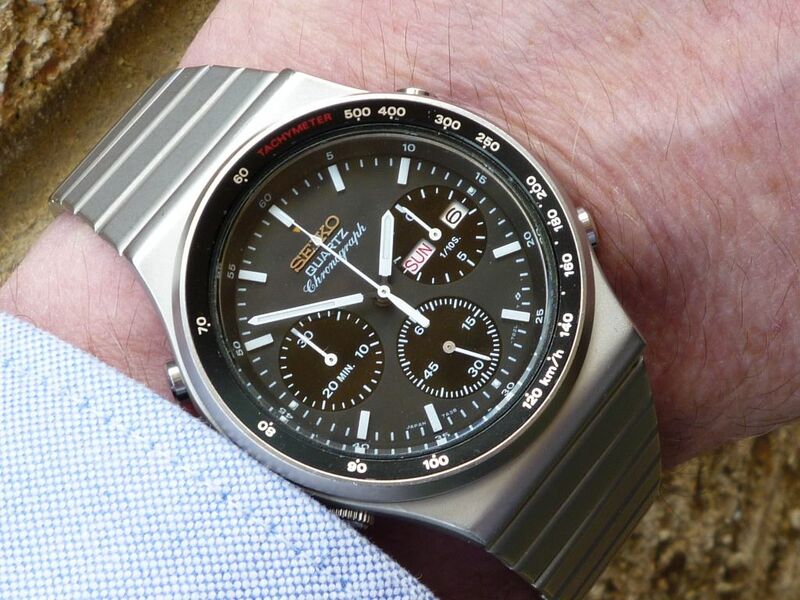 Sorry Paul for my cheeky behavior but the case doesn`t belong to a 7A38-7060 two tone instead of a 7020? Or maybe a 7A28-7020? Well, I didn't like to say, Arpad ! gold plating completely worn away). 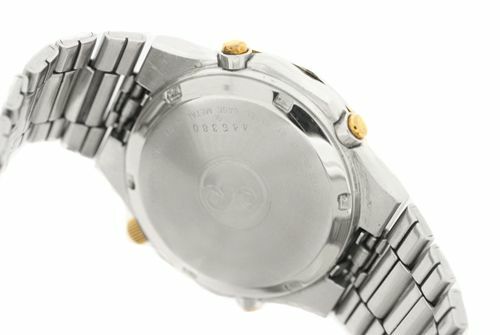 The bracelet is stamped G1105(C), which would be correct for a two-tone 7A38-7060 SAA016J. Edit: Just noticed my own typo - obviously I'd got 7A38-7060 and 7A28-7020 mixed up. My apologies, Arpad. That is NO KIND of a recommendation - trust me. The seller's real name is Nandor Janusko. I have bought a 7A38 from him, on a past occasion - in haste. I am still repenting at my leisure. I suggest anyone contemplating a purchase from this eBay vendor (any of his user names) thinks long and hard, before rushing in. Óvakodjon a vásárló, or to put it another way .... Caveat Emptor, Gentlemen. I think I wrote that sentence in a wrong way, my English grammar is still cr*p, but I wanted to tell the same that the case is 7A38-7060 instead of the 7A38-7020. That was my intention. 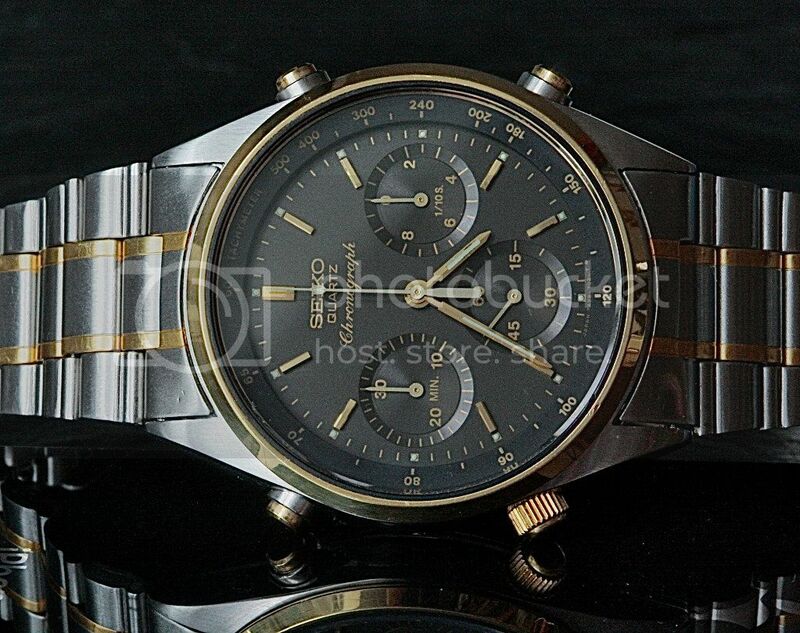 But my second thought was the 7A28-7020 two tone case with black dial. 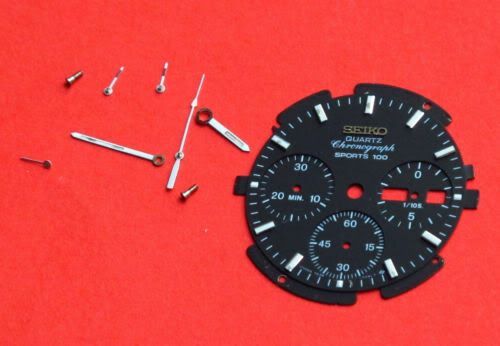 But is it likely that a 7A38 movement wouldn`t fit into that case. 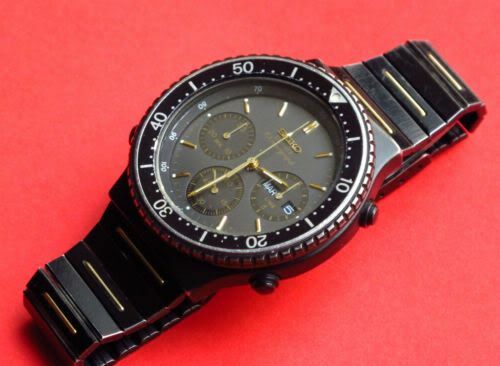 As I remember roughly a year ago I wanted to buy a 7A38-7020 (with grey-black dial) from this seller, I sent him an email with a list of problems with the watch and I also made an offer....we couldn`t agree in the price and he absolutely ignored my "problem list". Definately "avoid" category. That's O.K., Arpad - I understood perfectly. It was my own fault for not having properly proof read my own original post, before replying to (and correcting) yours. My apologies. I really should stick to just 7A38's. Talking about 7A28's as much as I have recently, it's all too easy to get the case #'s muddled up. 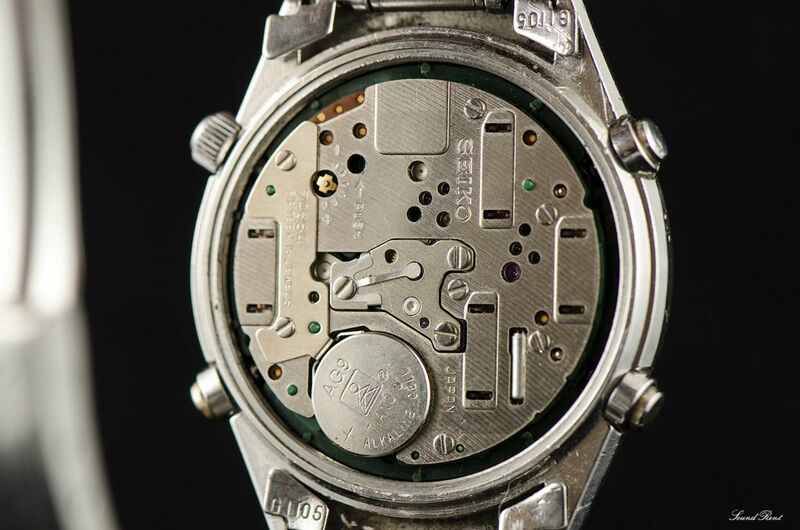 Besides, I don't think this seller is smart / skilled enough to have shoe-horned a 7A38 dial / movement into a 7A28-702x case. Seller must have pulled it. I wonder how that happened. Never doubt the power of the assertively written word. It's back again - rather more accurately described, this time. 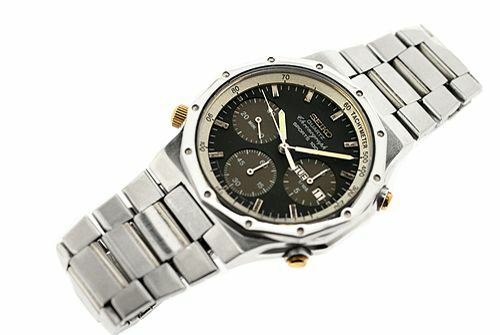 Vintage Seiko Franken 7A38-7010 Chronograph for sale. 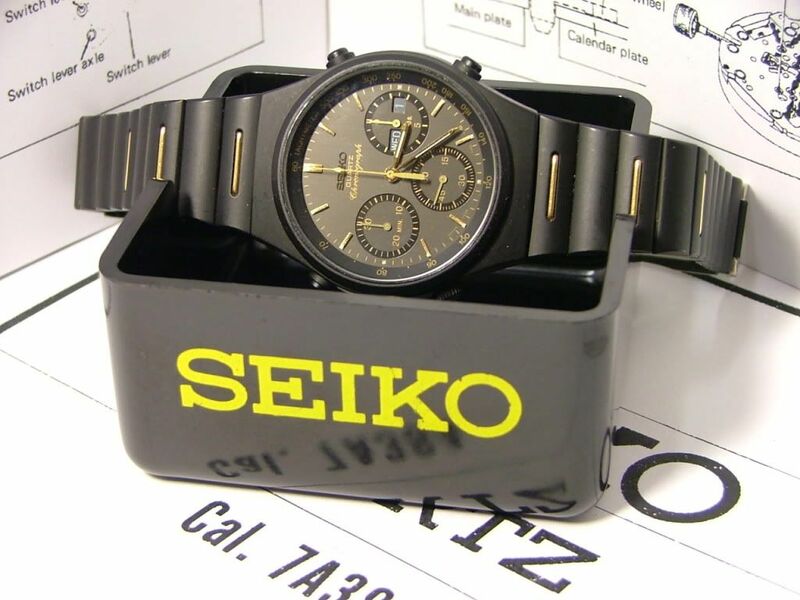 "Franken made up from a 7A38-7060 case and bracelet with a 7A38-7010 dial and case-back"
Surprisingly, even though 'properly' described as such (in the revised listing), it still made $102.50 (approx. £63.66) after 40 bids. What I found more incredible was the sheer number of different bidders involved - I'm not about to count them, but it was over 20 !! The auction also received some 566 views over the 7-day listing period. I think someone just wanted it so badly because of the dial and the hands. They look very good to me..but for that price..no thanks. Up until now, I think I've been fairly generous to the multi-named Filipino eBay seller: Restoredwatches / JFM_watches / Nippontime. I've restricted my criticism of their carelessly mixed-and-match, worn-out and warmed-over 7Axx watches to the 'hotch potch' thread. 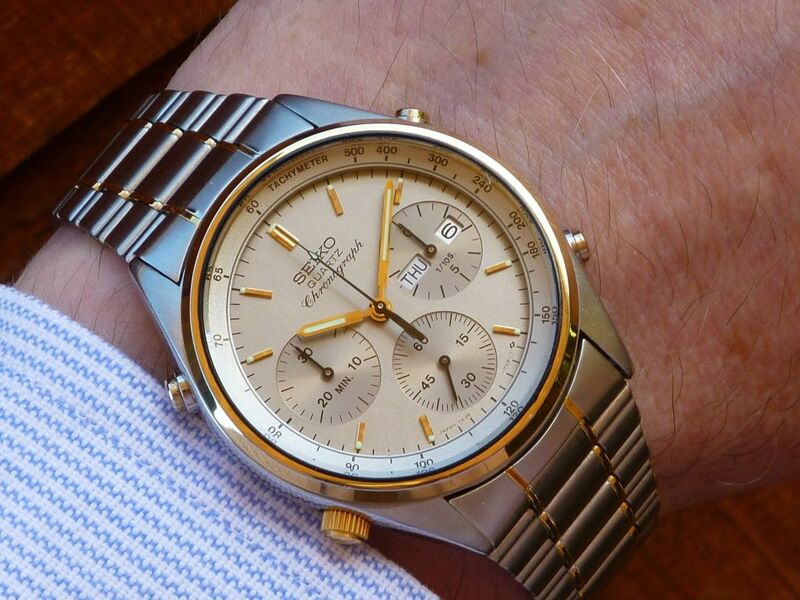 What you're looking at probably did once start life as a (two-tone gold dialed) 7A38-702H. But this one looks pretty much shagged. The bracelet has been repaired (botched), and the once gold-plated bezel has been polished to death in the best Filipino tradition. 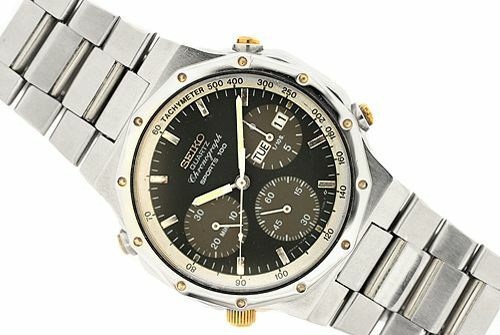 If the Tachymeter dial ring is the original, it has faded from gold to almost a pale silvery colour, as found in the two-tone 7A38-7020. 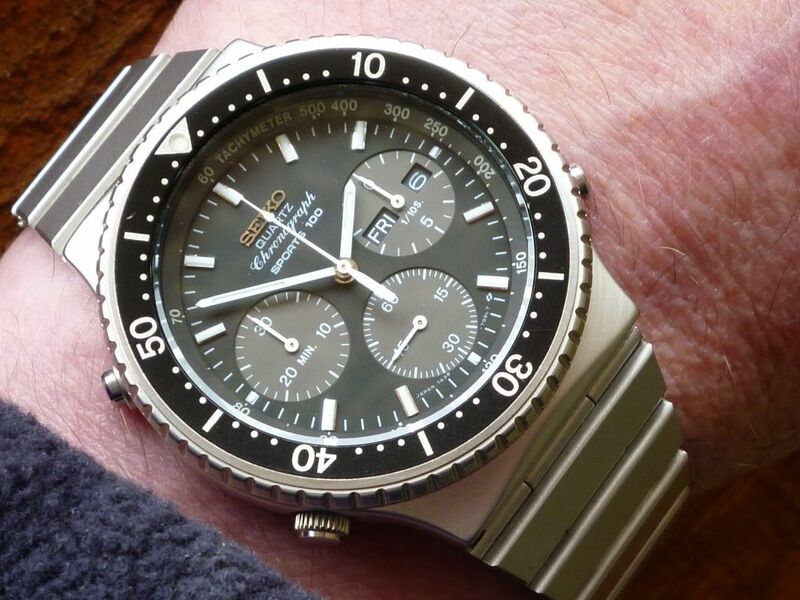 The black / grey subs 709L dial is out of a 7A38-7070 diver, and it looks like the main hands have been re-painted - all over badly ! 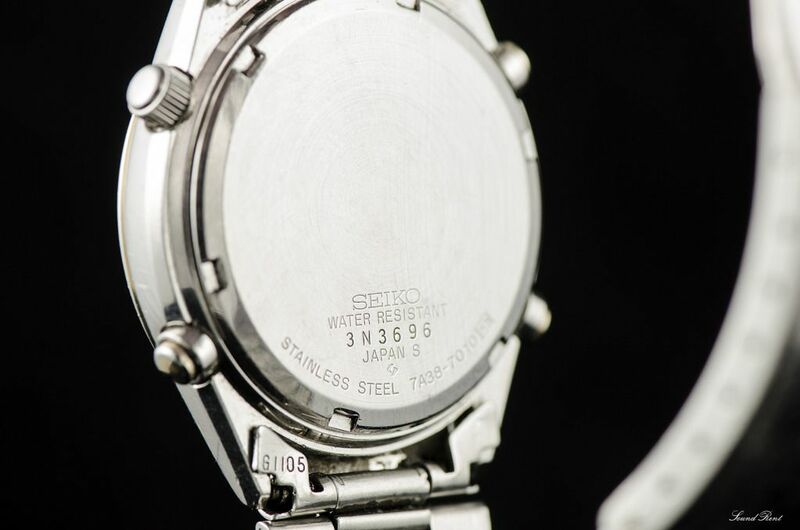 The more observant of you will also notice it has Black on White day and date wheels, so it's not the movement from a 7A38-7070. 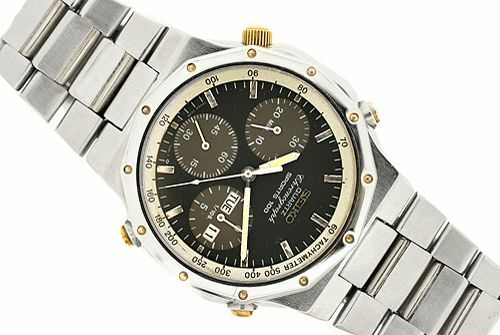 And before Arpad (or anybody else suggests): I think someone just wanted it so badly because of the dial and the hands. 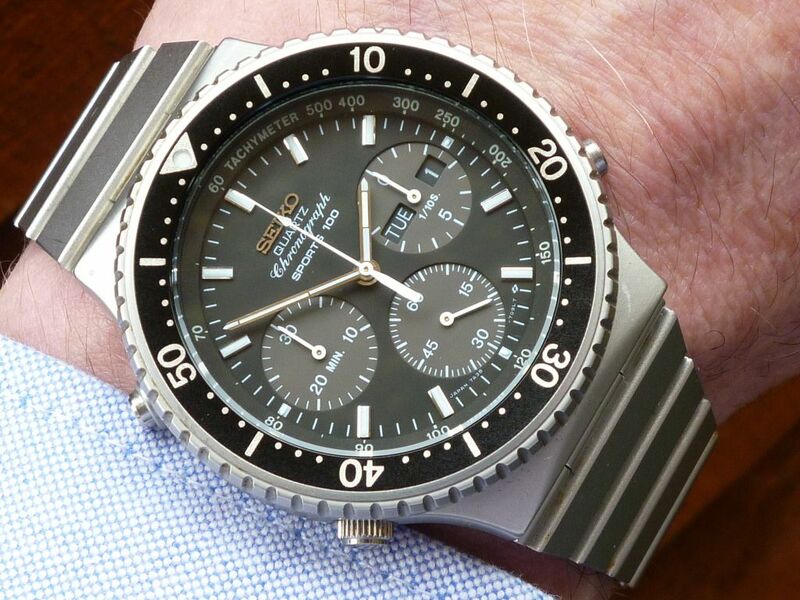 Just take a good close look at the state of the lume batons. One to be avoided - like The Plague. Run away very fast ! If you're in any doubt how a 7A38-702H should look, here's one of mine. Actually this one's a 7A38-702A, IIRC, but 'same difference'. .... and here's how a 7A38-702x Franken fitted with the 709L black / grey subs dial can be made to look, with very little effort !! Well, despite my warnings, Niippontime's 7A38-702H / 7A38-7070 Franken still managed to make $152 (approx. £94) after 18 bids. It just amazes me how they manage to find the mug punters. I thought for a brief moment that I was seeing things .... but I wasn't. Almost 12 months later, it's back again ! As the eBay seller is a member of this forum, albeit a relatively new one, perhaps I should be a little circumspect in flagging up this particular 7A38 Franken. But then I wouldn't be true to myself. I'll just stick to the facts as I see them. I'm sure he'll understand. 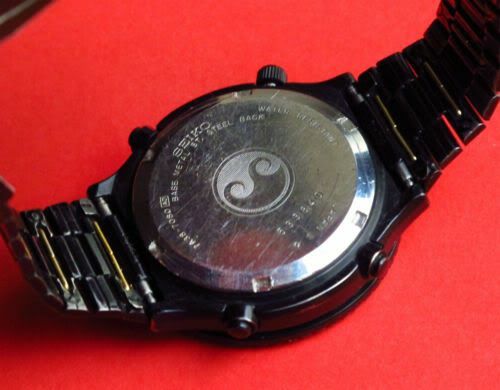 The Watch is in working condition. The Case has some normal scratches from wearing. 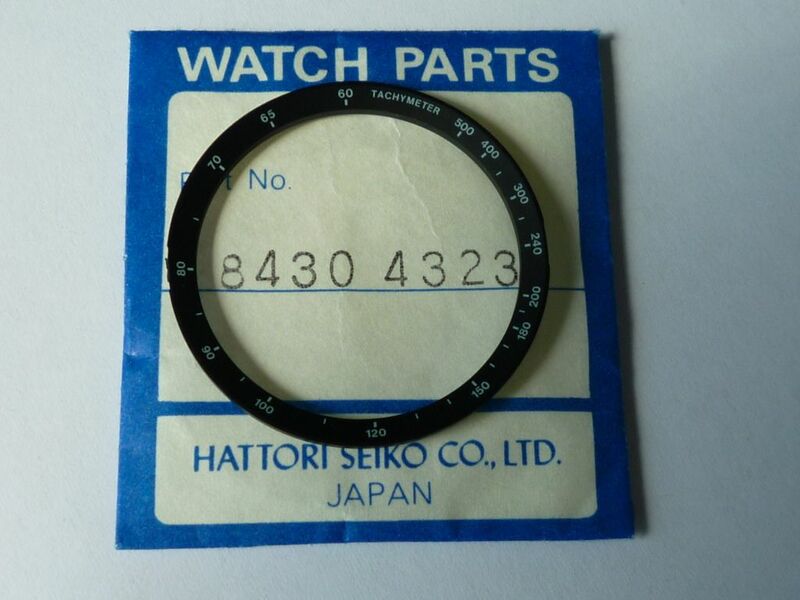 Diameter of the bezel is 40mm. 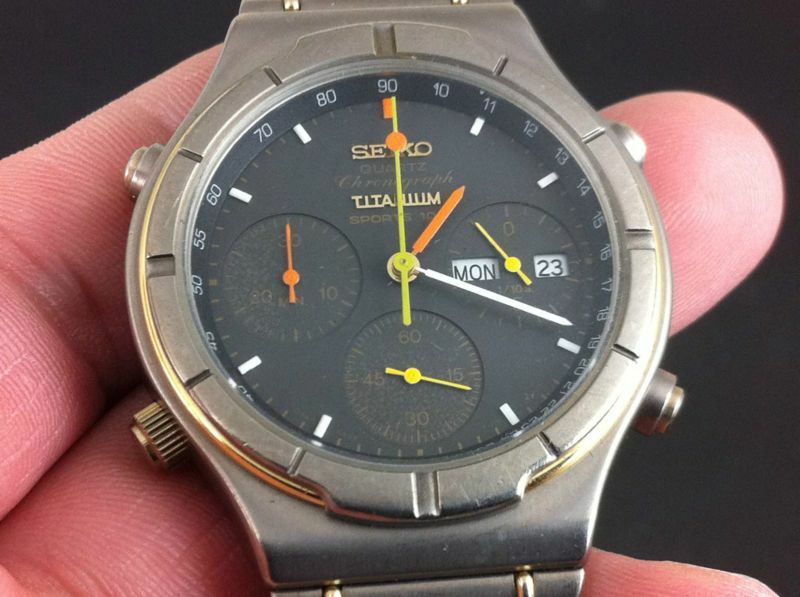 The seller fails to state that it is fitted with the Taupe 703L dial and hands from a stainless 7A38-7020/9 and a non-original bracelet. 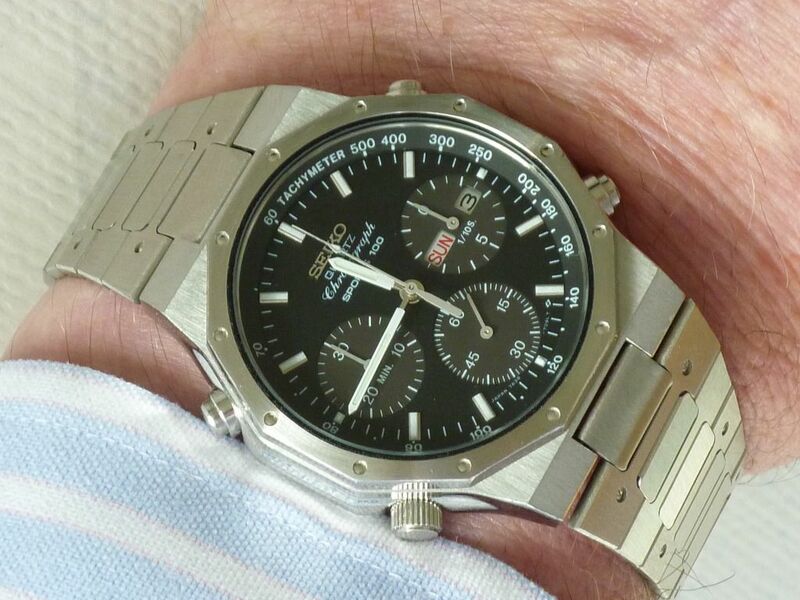 When he's previously posted photos of it, including the one below on UhrForum.de, it was fitted with the correct p/n B1241S bracelet. In fact, the travesty that he's simultaneously trying to pass off as a 7A38-7280 isn't much better. 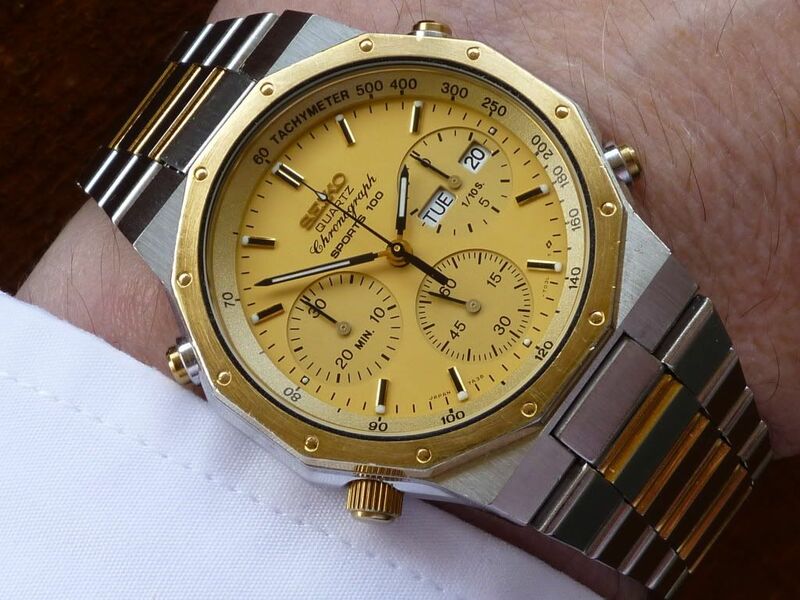 Again there's a stripped / partially re-plated watch case - fitted with a case-back from an all-over gold-plated 7A38-7280. But instead of having the normal creamy white 7250XS14 Arabic number dial, this thing has a gold 7250XG14 Arabic number dial from a 7A38-7289. Oh and and the hands are lumed - not the correct slender leaf pattern hands used with either of them.